The Incarnation is the center of reality. It is the truth that affects all other truths. We have to not be afraid of telling that truth. It’s worth dying for. But more importantly, it’s worth living for. Editor’s note: The following post is an excerpt from the commencement address given by Dale Ahlquist at Thomas More College of the Liberal Arts, on Saturday, May 20, 2017. In his book The Everlasting Man, G.K. Chesterton offers a different set of categories than the standard grid used for comparative religion and the development of civilization, four strata that cut across the vertical columns and are sometimes present at the same time within each epoch, sometimes even within each individual. The categories are God, the gods, the demons, and the philosophers. God is the ultimate force behind the universe, but not a mere force, a personality: the one who provides meaning, because there cannot be meaning without someone to mean it. But when God has been forgotten, as he so often is, there come the gods, the mythologies, the imaginative attempts to give meaning, to tell the human story over again, with its heroes and heartaches, its adventures, its loves, its battles, its living and dying, its ache for the eternal. Then there are the demons, who represent shortcuts to pleasure, who represent the decay of virtue and the fascination with evil, when men grow weary in well-doing, when men do things not because they mistakenly think they are good but because they know they are bad. And then the philosophers, who attempt to harness reality with the great gift of reason. It would almost be enough. Except it’s not enough. 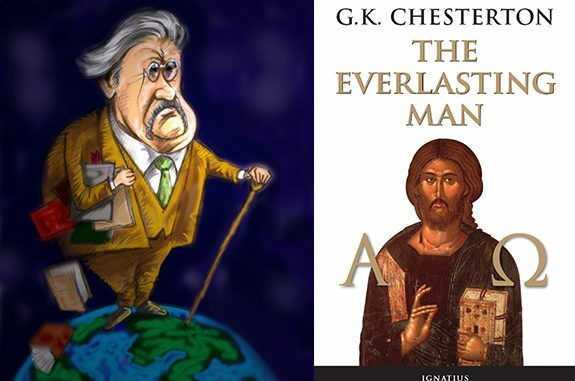 Chesterton says that when Christ stepped on to the stage, history changed entirely. Christ stepped into a world populated with many gods, and yet he was a character utterly different from any character in mythology. It was only the Gospel that “met the mythological search for romance by being a story and the philosophical search for truth by being a true story.” When Christ set up his Church, he brought together theology and philosophy for the first time. He also stepped into a world full of demons. And he cast them out. On one notable occasion, he cast them into a herd of swine. Paganism ended in Christianity. As the old pagan civilization fell apart, but before a new Christian civilization was established, the world passed through a period of almost no civilization, a time known as the Dark Ages, when barbarian tribes ran wantonly, men who were ruled only by their appetite, who did not build new things but only destroyed old things. But they were defeated. They were defeated by legendary figures such as King Arthur and historical figures such as King Alfred the Great. And when Christian civilization rose from the ruins of the Dark Ages, it established great cities. It built universities, hospitals, cathedrals, and gave the world magnificent art and music and literature. In the last few centuries, however, we have watched the decline of Christian civilization. And a hundred years ago, G.K. Chesterton predicted the coming of a New Dark Ages. We have indeed arrived at the point where we have detail of the sinning and denial of the sin. We have given calm and clinical names to a multiplicity of perverse acts and have denied that they are sins. And though the sins of lust get all the publicity as the most detailed and most denied, also denied are the sins of avarice and gluttony and envy and sloth and especially pride, as we have formed a crass commercial culture based on coveting and self-indulgence and instant gratification. We have built new temples with new temple prostitutes, new coliseums with new gladiators. We’ve created new mythologies with comic book heroes and constellations of science fiction characters roaming across a strange night sky. The gods have returned. 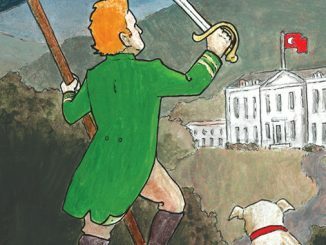 Our imaginations have run wild with alternative realities. And with the loss of faith has come the loss of reason. Philosophy has once again become detached from theology and each modern philosophy has gone mad in the clean, well-lit prison of one idea, attributing all of human action either to biology or economics or environment or some other fashionable fatalism that robs us of our dignity and our free will. And the demons have also been unleashed again, as men’s deeds grow increasingly dark and disturbing. And no matter how dark or disturbing it is, someone makes a movie about it. 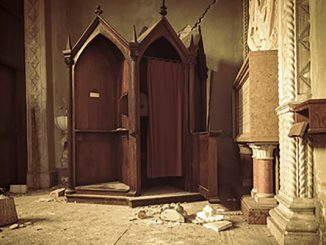 As Chesterton says, in the new version of that Garasene event, we have left out the Redeemer. We have kept only the demons and the swine. 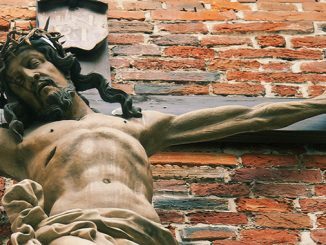 Perhaps you have heard of “The Benedict Option.” Rod Dreher gives a brilliant analysis of the New Dark Ages, and makes a compelling case for how to go about forming Christian communities. But as much as I agree with much of it, there is something about the strategy that strikes me as one of retreat rather than engagement, a siege mentality. We can’t keep out the world. We can’t run away from the world. We have to transform the world. And so with all due respect to the Benedict Option, I would like to propose the Chesterton Option. It’s not completely different. It’s just different. What is the Chesterton Option? It starts with being faithful to the Faith. St. Benedict did not set out to save culture. He was seeking God. The Incarnation is the center of reality. It is the truth that affects all other truths. We have to not be afraid of telling that truth. It’s worth dying for. But more importantly, it’s worth living for. From that start, we have to start taking control of our own lives. Not waiting around for the government to fix things, or for the new technological breakthrough, the new cure, the new device. Chesterton says it is a sign of decadence when we pay others to fight for us, others to dance for us, and others to rule us. Doing things for ourselves would be revolutionary. Chesterton says it is cheap to own a slave. It is cheaper to be a slave. We have to be free from all the things that would enslave us. Whether they are electronic, chemical, or cultural. Free means being as free not to use a thing as to use it. What else can we do to change the world from the ground up? Work to become your own employer rather than someone else’s employee. Whenever you can, buy local. Start your own school with like-minded parents who understand that there is nothing more important than the souls of our children. Join a health care cost-sharing cooperative rather giving your money to a health insurance conglomerate that is officed in a glass skyscraper. Join a local credit union instead of a bank. Give part of your money to the poor and give them the dignity of spending it themselves rather than spending it for them. Create your own entertainment rather than paying for the paltry product pedaled by the entertainment industry. Make your own art. Write poems. Poems that rhyme. Read books. Read old books. Read Chesterton. Grow things. If you cannot grow vegetables or flowers, at least grow children. Every day should include a family meal where we linger long at the table. Every day should include a time of family prayer. Every day you should make a time of silence for yourself. Remember the Sabbath and keep it holy. Keep yourself holy. Break the conventions, keep the commandments. Look at everything as if you are seeing it for the first time. Always be thankful. Always think about God. And if you are always thankful, you always will think about God. And you will be happy. Chesterton says, The aim of human polity is human happiness . . . There is no obligation on us to be richer, or busier, or more efficient, or more productive, or progressive, or in any way worldlier or wealthier if it does not make us happier. And as I said before: Read Chesterton.